But is this really true? What data security risks do Macs pose to your business? Does arming your team with MacBooks and iMacs mean you can stop worrying about cyberattacks? The short answer is no. Macs do boast some hearty security features and an impressively meager track record of security incidents. But that’s no reason to let down your guard. These days, everyone and every business, regardless of platform, can be targeted by hackers. Here are a few of the most common myths — and the reality — about Macs and data security. One reason people think Macs are more secure than PCs is simply because they’re less prevalent. Hackers prefer to get the most bang for their efforts, the thinking goes. Because the number of Windows users dwarves the number using MacOS, Mac users can rest easy in the more enticing shadow of the Windows monolith. One expert estimates 98 percent of viruses are written to infect PCs. But the remaining two percent can still do plenty of damage. 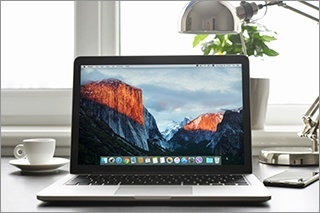 Last year, the first-ever ransomware attack against Macs was detected. The ransomware was embedded in an application that had been approved by Apple. In 2012, the Flashback malware found its way onto over half a million Mac computers, stealing countless passwords, usernames, and other personal information before security patches shut it down. This January, researchers discovered a piece of malware that may have been circulating among Macs since 2014. The malware was collecting information about the networks on which it was installed, particularly focused on biomedical research centers. The truth is, as Apple gains in market share, cyberthreats against Macs are also increasing. And as at least one writer suggests, because Mac users tend to have higher incomes, hackers may sense a bigger payoff from targeting Macs despite their relatively small user base. Gatekeeper, which prevents users from installing apps from developers that haven’t been approved by Apple. Full-disk encryption by default with FileVault 2. The App Sandbox, which keeps applications isolated from other components of the computer. Runtime protections designed to keep hackers out of the inner workings of the OS. But as the steady uptick in Mac attacks proves, hackers are persistent and resourceful. No computer system is impenetrable. Manufacturers like Apple are in a constant race against time to patch weaknesses before they can be exploited. Plus, the weakest links in any network are the users. All the cutting-edge security features in the world won’t stop a careless employee from falling prey to a low-tech phishing attack. Malware isn’t always the system-slowing resource hog it used to be. Hackers have a vested interest in lurking undetected on your computer, stealing your personal information and spreading their web silently to others you connect with. Data is the lifeblood of most businesses these days. From your customer records to your experimental results to your financial information, everything your business relies on is stored digitally. Exposing any of it could cost your business millions. It’s risky, then, to rely entirely on the built-in features of MacOS to keep this valuable information safe. There are a number of good antivirus software applications available for Macs. If you need help choosing the best option or would rather leave your network’s security to the experts, you might consider bringing in an outsourced IT provider. With an outsourced provider handling your data security, you’ll know that you always have the most up-to-date protections against cyberthreats — regardless of the platforms you use.